In November 1990, Ladies Home Journal devoted a special issue to listing America’s fifty most powerful women. (Included: Oprah Winfrey; Barbara Bush; Cher.) 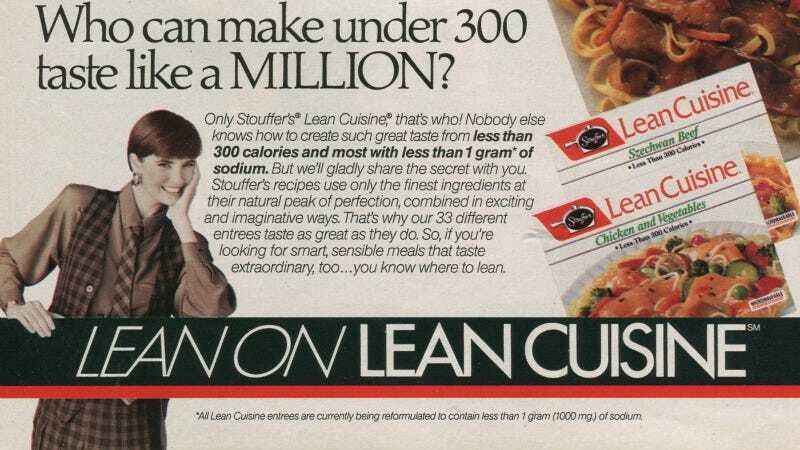 So it’s impossible to look at this accompanying Lean Cuisine ad without noticing that woman’s sharp suit. More like LEAN IN Cuisine, am I right, ladies??? Now get out there and make that million. Just don’t spend any of it on food that’s more than 300 calories.